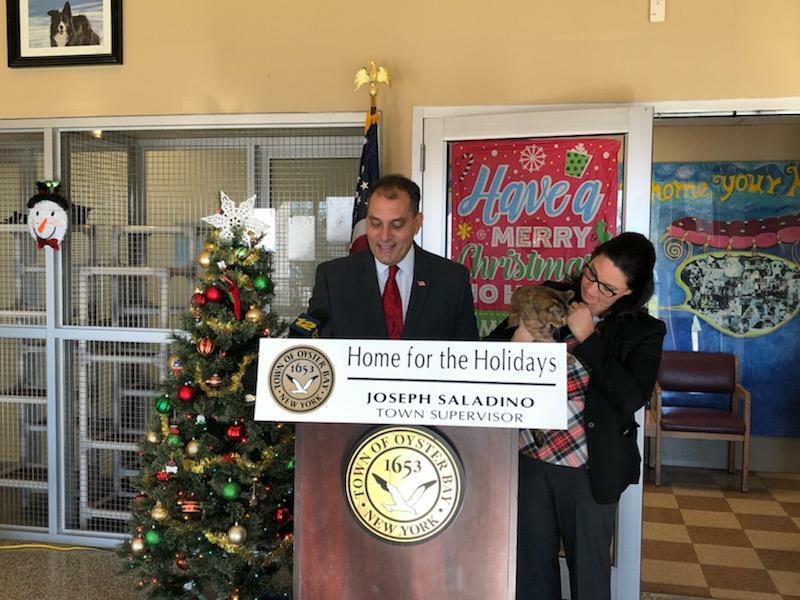 Town of Oyster Bay Supervisor Joseph Saladino and Councilwoman Michele Johnson announced that the Town’s Animal Shelter will waive adoption fees for cats for the remainder of the year. Through December 31st, general adoption fees of $84 per cat will be waived. All usual adoption services will be provided, including the spaying or neutering of the animal, vaccination and microchipping. The Town of Oyster Bay Animal Shelter is located at 150 Miller Place in Syosset. The shelter is open from 8 a.m. to 4 p.m. Monday through Saturday. To view photos of some of the animals available for adoption, or to link to the shelter’s Facebook page, visit the Town’s website, www.oysterbaytown.com or call (516) 677-5784 for more information.